Oh, man. Has this dress taken me through the seasons or what? 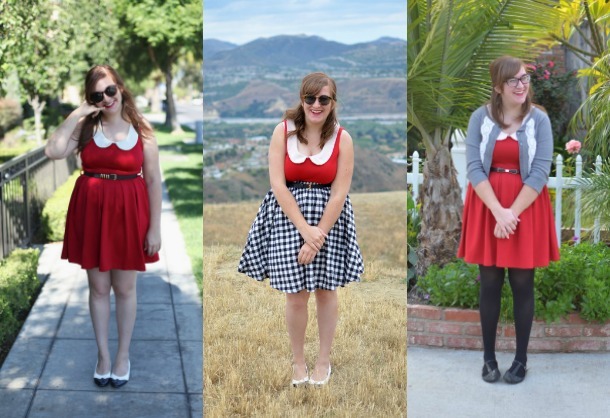 I got this dress a few years back while on summer break, and it stayed with me through my senior year of college in Illinois and back to California. I still have it and wear it regularly, which is usually a good test of a lasting piece. I can't imagine getting rid of this one any time soon, and looking through all of my old posts has truly solidified that for me. Looking through all of my old posts also reminds me that I used to live in a place where it snows, and I also was very excited to start my customer service job that I later couldn't get out of soon enough. Ah, nostalgia. 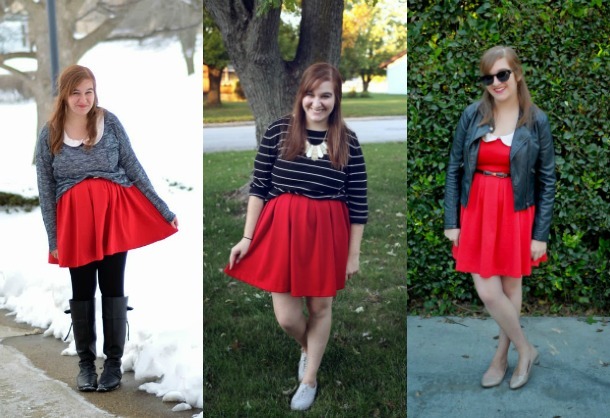 I usually cringe when looking through old outfits, but I actually still really love all of the ways I styled this dress. 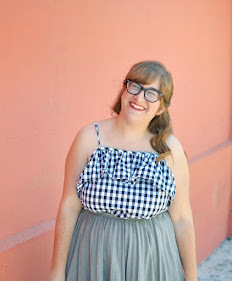 I'm of course partial to my most recent attempt, when I wore it as a top with a gingham skirt. However, I also loved wearing it as a skirt with a sweater over it and just on its own when I first got it. I've really enjoyed the enduring charm of this red dress over the years. All the ways are classic and stylish.